EPP code is an authorization code which you need when you move your domain from one service to another. Here I’m sharing a detailed tutorial on how you can grab your EPP code for domains purchased from GoDaddy. EPP code is an important part of your domain security and you should never share it with anyone unless you wish to transfer the domain to somebody else. Anther important thing that you should know is; you should always keep your domain locked. This is a feature available in all domain registration service including GoDaddy. This way, even if someone gets hold of your domain name EPP code, they will not be able to move domain name as long as it’s locked. I have shared about this in detail on my earlier guide on How to keep your domain name safe from hackers. 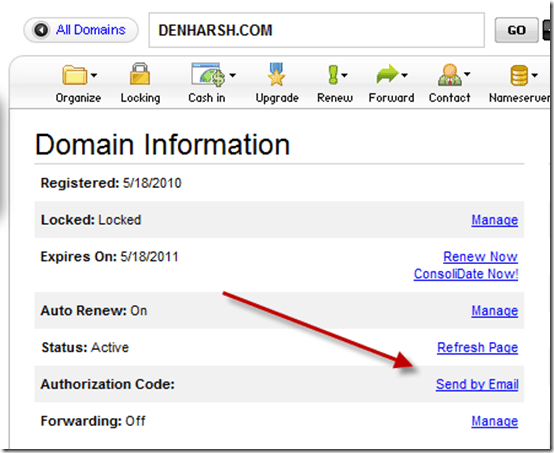 Login to your Godaddy domain dashboard. Click on manage domain in front of the domain, whose EPP code you need. 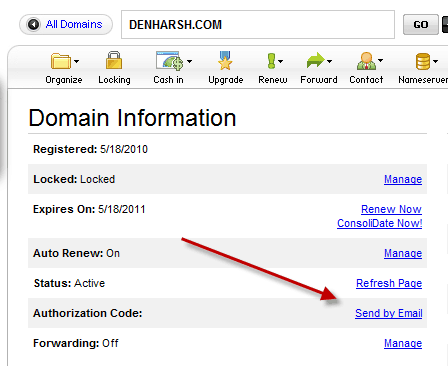 On next page under domain information, search for the part which says authorization code and click on send by Email. If you are getting the domain authorization code to move your domain service. Make sure you unlock your domain. See above screen where it shows Locked: Locked. Click on manage and change locked status to unlocked. I hope this helps you in finding domain authorization code from Godaddy. Feel free to let me know if you still have any question regarding moving domain away from Godaddy. do you have any post regarding how to change hand of a domain name in godaddy ? I want to acquire a domain from a remote party and he is asking to mail to goaddy. How to ?